It’s Like I’m In The Book! I Feel So Engaged With The Book! These books world be rated 5 stars because once you start reading you won’t be able to stop. It tells me an idea about what to do in a situation like that. My favourite is dear dork although skating sensation is brilliant as well. 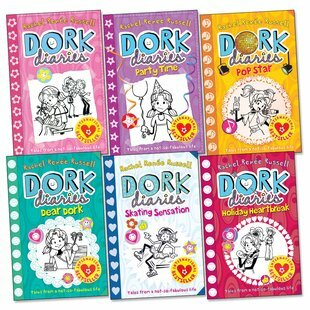 I’ve read all the dork diaries books apart from book 3 and a half and book five. They where very funny at some point, but definitely where boring if nothing was going on. I’m really looking forward to reading the books I haven’t read yet. I would definitely recommend these books to EVERYONE. Five stars FOR SURE!!! !